With the changing time, the digital technology has advanced to give user more freedom to communicate freely to their dear ones. Making international calls have now become very easy, cheaper and give the user more freedom to communicate freely to their loved ones with the advent of World Calling Cards (WCC) by AIRCEL. Apart from personal advantages, calling cards plays a vital role in connecting business world. With the ease of cheap calling plans, the professionals can keep in touch with their potential customers and clients and thus put efforts to increase their business overseas. In order to bring the world closer, Aircel has recently launched the World Calling Cards with attractive tariffs for its subscribers who intend to be in touch with their dear ones frequently. One can easily communicate with each other at very minimal cost if he or she owns WCC offered by AIRCEL. 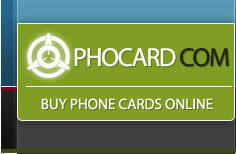 These cheap calling cards also allow users to select the suitable calling card for making cheap calls globally. AIRCEL, emerging Pan India telecom operator in the country which offers Prepaid ISD calling cards (World Calling Card) for its prepaid and postpaid subscribers is unique compared to the offers provided by different operators. Aircel ILD calling cards, comes in 3 denomination of Rs. 50, Rs. 150 and Rs. 250 with the validity of 15, 30 and 60 days respectively. It claims that subscribers can save up to 85% on ISD calls from their prepaid and postpaid mobile phones. It is the only operator which comes up with prepaid options where security deposit is not required to make ISD calls. Low end users who have relatives in Middle-east South India to Middle-eastern countries and from North India to USA, Canada, Australia, Philippines, Bangladesh , Kuwait, UAE can use WCC to save nearly 85% on ISD calls. On this context Mr. Vikas Kakwani, Circle Branch Head says- Aircel Long Distance Calling Card provides most competitive ISD tariff across operators to our prepaid as well as postpaid customers.